You are here: Home / Adventures / Life’s an adventure .. make it an adventure to remember! Life’s an adventure .. make it an adventure to remember! We immediately starting packing the gear we would need for the day’s adventure. 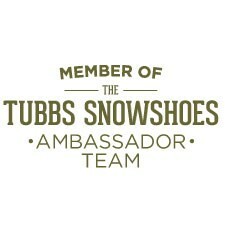 We packed Snowshoes, trekking poles, backpack, snacks, water, extra gloves, and Sunglasses. 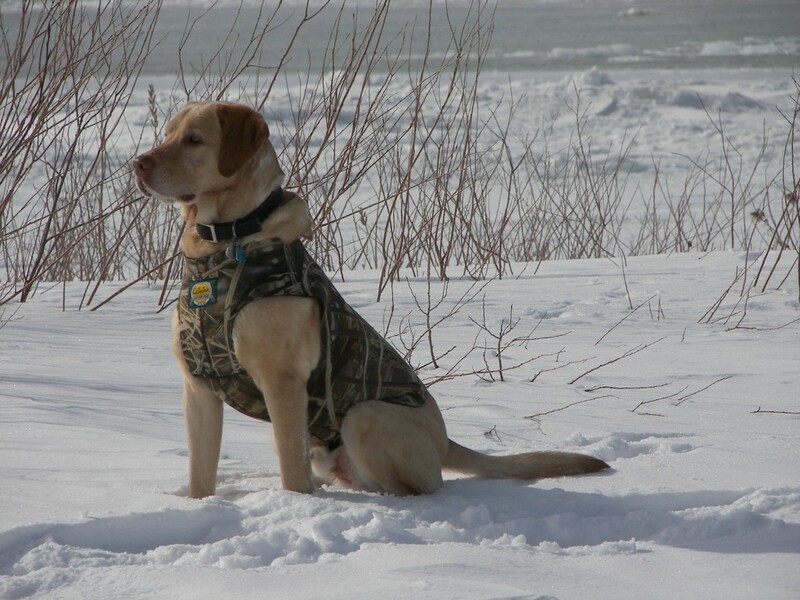 Our yellow lab was suited up in his vest. We headed out, going west, towards the Lakeshore. 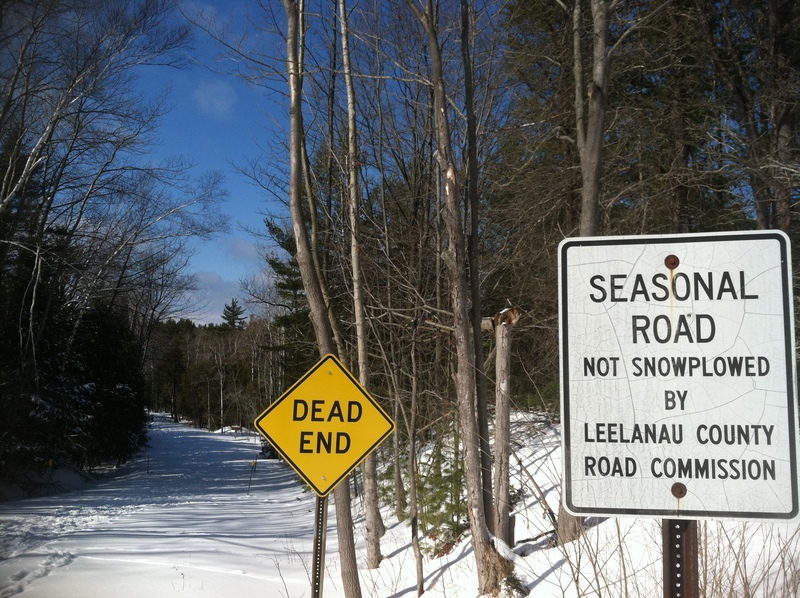 Upon our arrival, we parked on the side of the road near a sign that stated “Seasonal Road”. 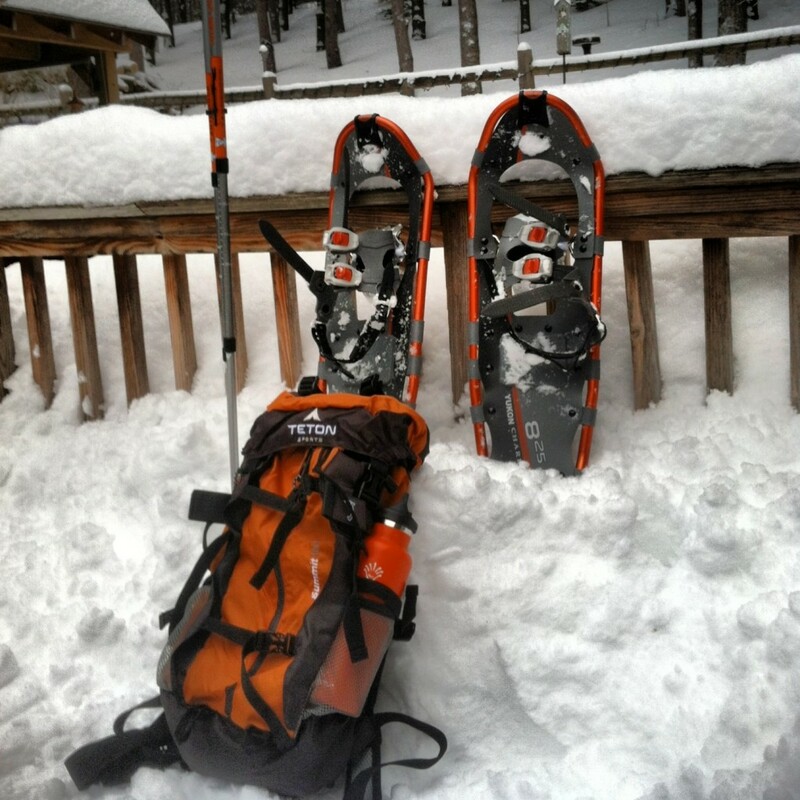 We unloaded, geared up and started snowshoeing. Tracks were evident that others were here before us. Excitement! We could not wait to see this rare phenomenon ourselves! We continued to Snowshoe down the long road as the sounds of crashing waves grew louder and louder. Our excitement grew! The dog was running anxiously up ahead and then back again, as if he shared in our excitement. The sun shined brightly across the Snow, warming our faces. We trekked onward towards the beach. Finally, there it was. The beach was covered in pristine white snow and ice glistening in the sunshine along the water’s edge. Waves crashed into the ice with big splashes. No ice boulders?! Where were they? We looked to the north and then to the south. We headed south as the Northerly winds promised we would find our boulders there. We hiked several miles, anxiously looking for the ice boulders. Nothing! Confused, we searched a bit more, and then we stopped. We stood there gazing upon the beauty that was before us. What a beautiful place we were at. 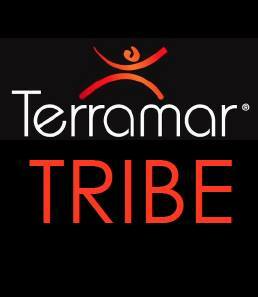 A place most people would never visit in the midst of the cold, winter. We pulled the camera out from my backpack and began taking photos. The beauty was all around us. 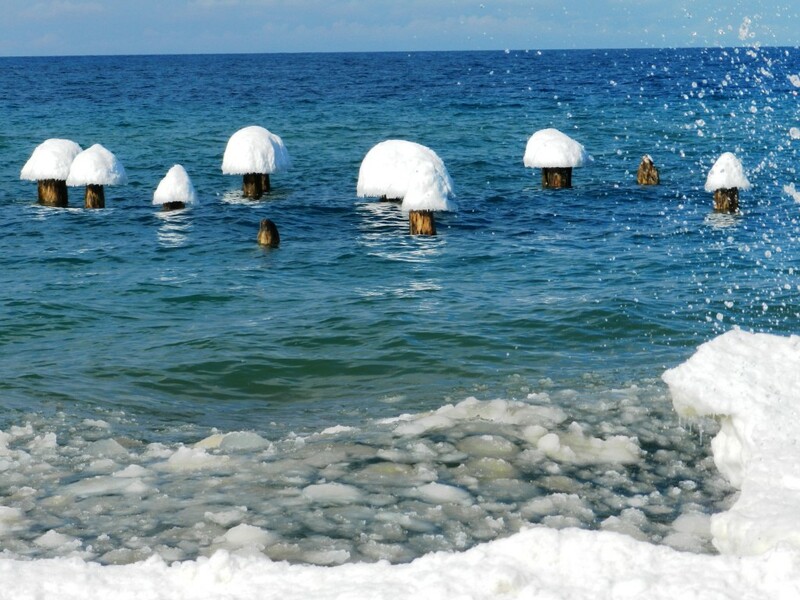 The snowy beach was sparkling like diamonds in the bright sunshine. 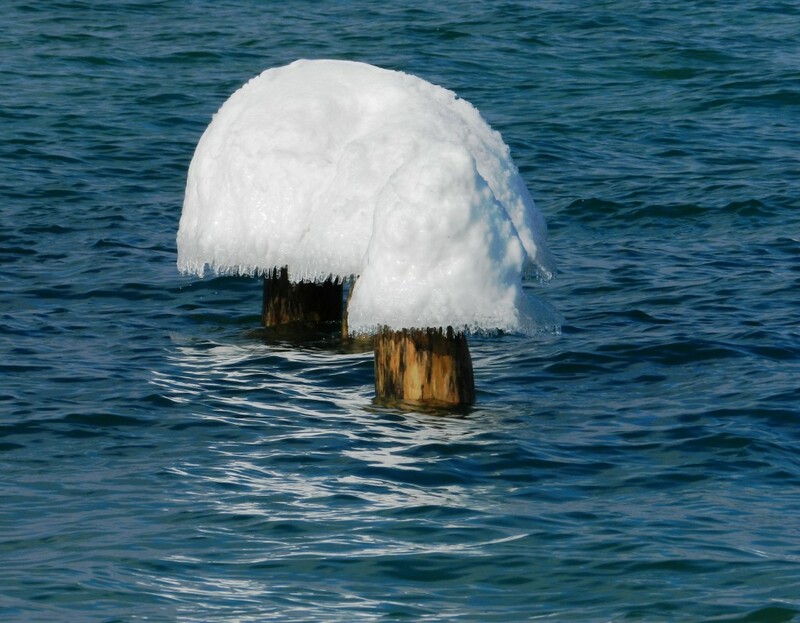 The old wooden pier standing out in the deep blue water looked like a crop of mushrooms with their caps made of frozen ice and snow. We were here to see it, to enjoy it. It was then we realized, even though we had not found the ice boulders, we had shared and enjoyed an amazing adventure. Ice and water splashes and crashes. 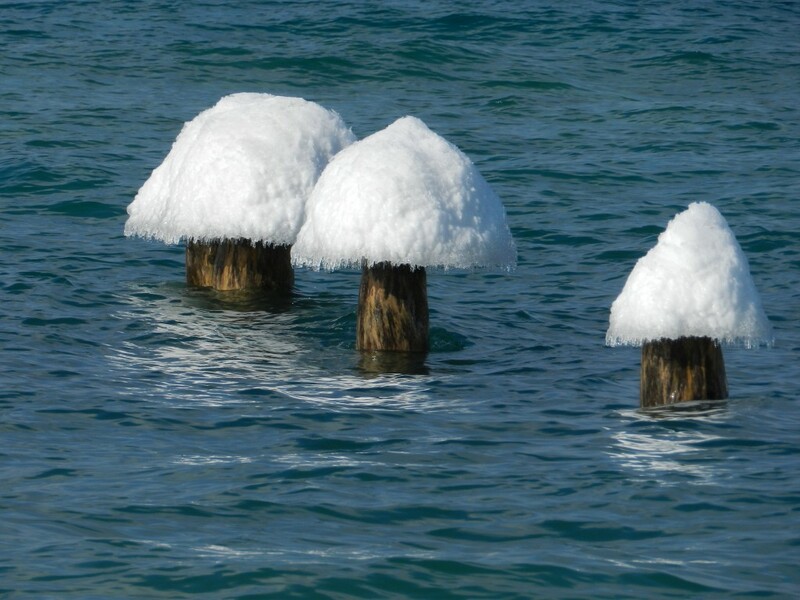 Frozen ice and snow transform an old wooden pier into a crop of mushrooms. “Life’s an adventure .. make it an adventure to remember!” Find your adventure in each and every day.